The real story behind the news that BrewDog is copping more than £200 million from the private equity firm that also part-owns Pabst Blue Ribbon, is not, despite the howls of “hypocrisy!”, that nobody can resist a big juicy cheque, no matter how punk they claim to be. It is, rather more sadly, that crowdfunding will only get you so far, and if you have really big ambitions, you’re going to have to get in bed eventually with The Man. The deal with TSG Consumer Partners, the $5bn 30-year-old San Francisco-based private equity firm, sees TSG acquire “approximately” 22 per cent of BrewDog for what the Sunday Times says is £213 million, split between a £100 million investment in the firm and £113 million paid to existing shareholders. Of the two founders, James Watt is seeing his stake in the firm drop from 35 per cent to 25 per cent and Martin Dickie’s slice goes down from 30 per cent to 22. It’s not clear (to me, anyway) if that dilution is because the pair are selling 18 per cent of the firm between them to TSG, or some of the fall in their percentage ownership comes from new shares being issued: the Sunday Times says one of the motions passed at last month’s BrewDog AGMEGM in Aberdeen saw the creation of a new class of preferred shares, which would guarantee TSG a minimum compound annual return of 18 per cent if the company is bought or floated. There’s a fair bit of dilution, I reckon, or the figures for how much existing shareholders are getting out of the deal don’t add up. But even so, I’d say James is receiving north of £50 million and Martin more than £40 million. Not bad for ten years of being rude about the rest of the UK brewing industry and winding up the Portman Group. Looks like Dr Johnson’s comment more than 230 years ago about selling a brewery being the way to become rich beyond the dreams of avarice is still true. According to Watt, the sums in the deal mean BrewDog now has an enterprise value of £1bn (I make it £968 million, but hey, £32 million is mere loose change), thus making it the first new British brewery “unicorn”. The most important figure, however, is the £100 million BrewDog now has to play with. 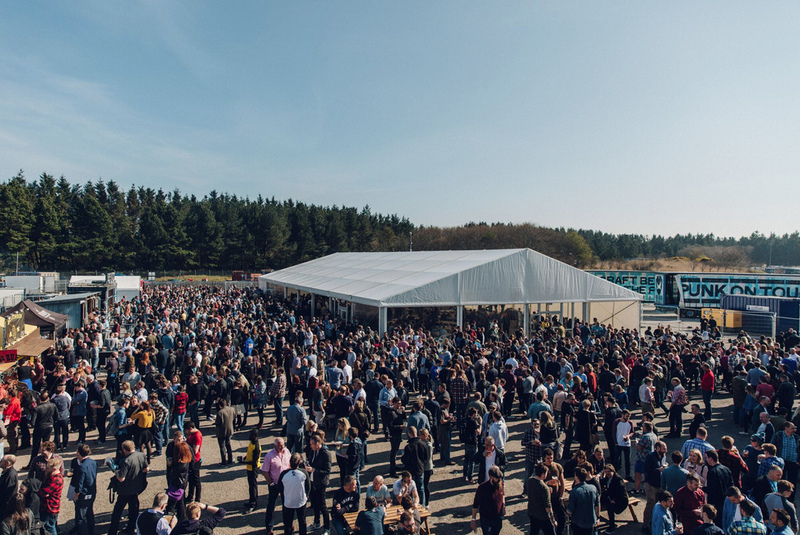 That’s four times the amount the company has raised so far through its Equity for Punks crowdfunding schemes, which have given it more than 50,000 shareholders, but taken six years. The company is currently attempting to get $50 million through Equity for Punks USA, though this does not appear to be going anything like as well as its British crowdfunding efforts: the latest figures seem to suggest only $3.5 million or so has been gathered in. That size of sum doesn’t go very far: the hotel and sour beer plant BrewDog is building next to its new brewery in Columbus, Ohio, which finally opened in March, several months late, is costing $6 million. Earlier this month the company announced that it was looking to open breweries in Asia and Australia: based on how much it spent on the Ellon brewery in Aberdeen, that’s £40 million to £50 million that will be needed, in addition to the money required for the planned expansions in Ellon and Columbus. Crowdfunding simply won’t cover expansion of that magnitude. Some have declared the TSG deal a betrayal of all the people who bought shares in BrewDog apparently believing that Watt and Dickie would never “sell out”; but this “betrayal” involves a pretty enormous return on those Equity for Punk backers’ investments. As Watt said: “Shares purchased in Equity for Punks I, which closed in February 2010, are now worth 2,800 per cent of their original value. Even craft beer fans who invested in Equity for Punks IV last year have seen the value of their shareholding increase by 177 per cent in just one year.” You don’t get that sort of return putting your money in Nationwide. Mind, it was perhaps a little naughty of BrewDog to describe TSG as “one of the world’s leading growth funds with successful investments in global brands like Pop Chips and Vitamin Water” without adding that it also has a substantial minority holding in Pabst, purveyor of just the sort of industrial brews Watt and Dickie swore they would never sell out to. I am sure Alastair Hook and the guys at Meantime, whose beers BrewDog withdrew from its bars after the Greenwich brewer was bought by SAB Miller, are smiling sardonically.